Xcora strand is the hardest hardwood – Teragren’s revolutionary Xcora strand bamboo flooring averages 160% harder than red oak. These floors offer hardness, durability and stability that are perfect for high-traffic areas in both residential and commercial settings. 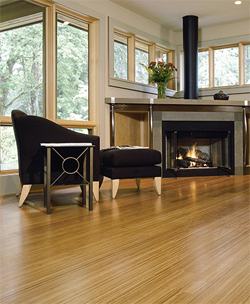 Teragren is a U.S.-based manufacturer of fine bamboo flooring, panels, veneer and parquet butcher block. We are also a company on a mission. Like all businesses, we want to be successful. But our definition of success includes not only high-quality products and excellent customer service but also environmentally and socially responsible manufacturing and business practices.